114 E Davis Boulevard #6, Tampa, FL.| MLS# T3151935 | Westchase Real Estate - Westchase FL Homes For Sale - Westchase Local Experts. Brand New Roof and NO price increase! Truly one of the best units with two outdoor living spaces (rooftop & ground-level). Enjoy some quiet time or entertain family and friends while watching the sun go down. Must See this Davis Islands luxury 3087sf, 3-story townhome, offering the indoor/outdoor lifestyle of "the island". Located in the heart of Davis Islands with the conveniences of urban living, in small town setting. 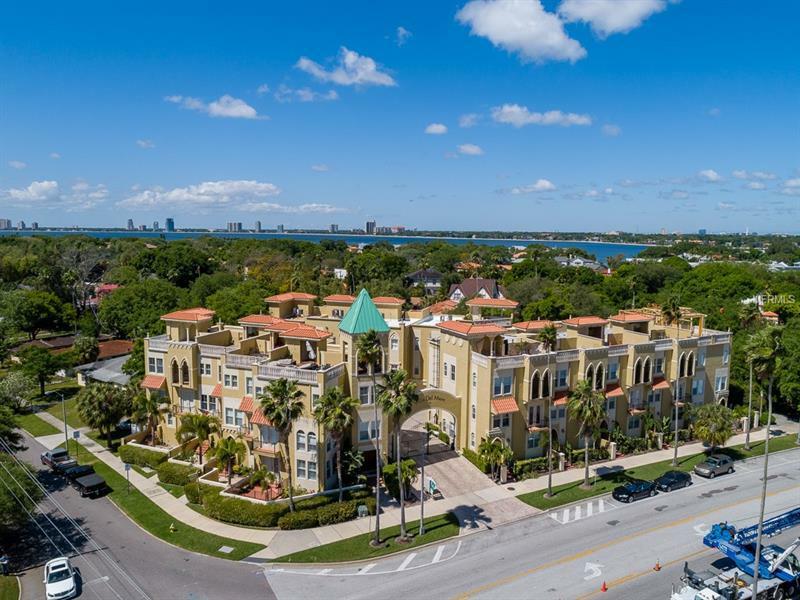 Walk to the village shops, restaurants & bars, marina, tennis courts, historic pools, even Tampa General Hospital. Or take your golf cart to the two dog parks, sailing yacht club, waterfront park space or small public airport. Expansive home with a 2-car garage is located behind the gated entrance, in the quiet back building. A first level bedroom suite with French doors opening onto a large private patio...makes perfect in-law/guest suite, in-home office or even media room. Private elevator accesses all floors including the rooftop deck. The second floor living space is wide open, great for entertaining with Kitchen, Breakfast nook, Living and Dining spaces all together; plus powder room and balcony. Huge kitchen with gas cooktop, granite counters and sold wood cabinetry. On the third level is the expansive master suite with a glass walk-in shower & six foot jacuzzi tub. Second bedroom, full bath and laundry are also on the 3rd floor. Being an end unit, every level of this home has beautiful large windows for natural light galore!